This is the fifth year in a row that my dad and I will pack up my Honda with coolers and lawn chairs, and head two hours northwest of Boston to the idyllic town of Greenfield to spend two days boogying in the sunshine at the Green River Festival. 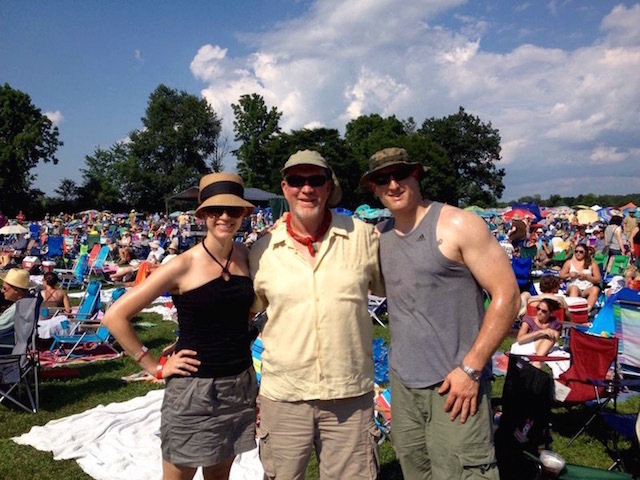 My brother, Zach, joined us at last year’s Green River Festival. 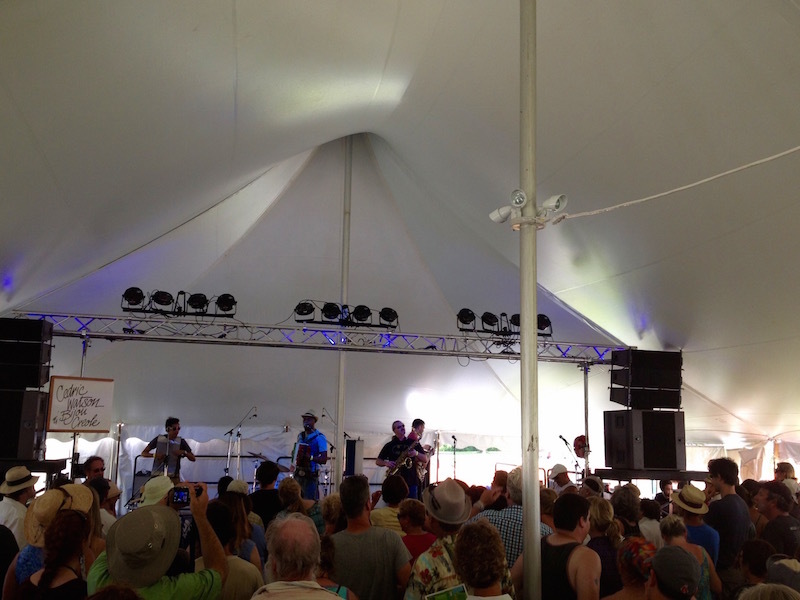 My first trip to the Green River Festival was six summers ago, when I went with my a college friend who had settled in Greenfield after graduation (he has, unfortunately, since moved to Rochester). Later that year, I heard that one of my dad’s favorite bands, the Carolina Chocolate Drops, would be performing the following year, so I invited him to check it out with me. And the rest is our fun little history. With the exception of last year, when my brother joined us, it’s always just been the two of us. Named by Rolling Stone Magazine as one of Summer 2015’s Top 50 Must-See Music Festivals, the Green River Festival offers a diverse range of activities to entertain all ages – from face painting to hula hooping to browsing local crafts to sampling local brews (they finally started selling beer last year) – not to mention the opportunity to hear top bluegrass, folk, rock and funk musicians from around the globe. 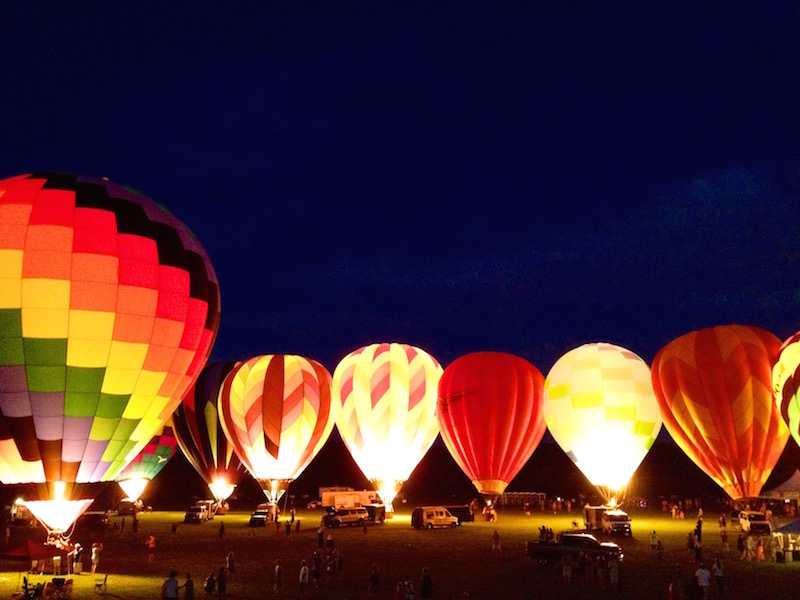 One of the highlights every year is when the hot air balloons – are lit up after the sun sets on Saturday night. This year’s Green River Festival will be held July 10-12 at Greenfield Community College, and feature Steve Earl & The Dukes, Preservation Hall Jazz Band, Polaris, Heather Maloney, and many, many, more. In honor of Father’s Day, and our upcoming adventure, here are some photo highlights of our annual tradition from years’ past. Love you, Dad! 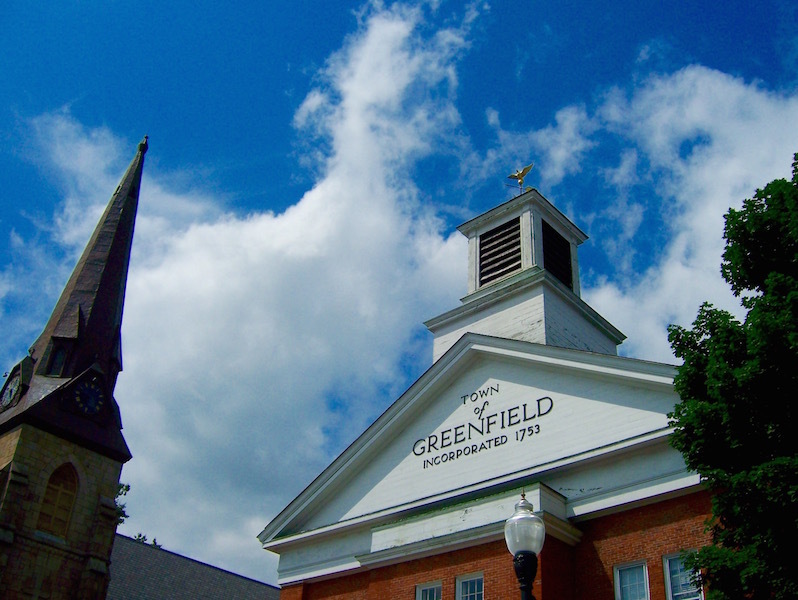 Greenfield is a picturesque and peaceful town at the foot of the Berkshires. One highlight of the festival is when they fire up the hot air balloons on Saturday night! We always look forward to breakfast at the funky, warm and welcoming Brass Buckle restaurant on Main St.
Oh I love that you & your dad have an annual tradition like this! One thing I used to love doing with my dad when I was younger was go to antique car shows with him! My mom didn’t enjoy it do it would just be the kids and him. What a fantastic tradition with your Dad! Happy Festival 2015 and Happy Father’s Day to Dad.